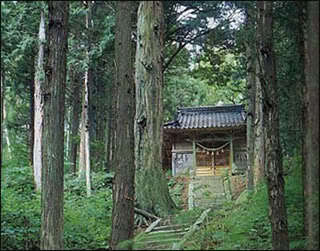 According to urban legend, lying just beyond the city of Tokyo is one of the most haunted locations in all of Japan. The exact location of the Himuro Mansion (or Himikyru Mansion as it is sometimes known) is widely unknown but the legend puts the mansion in a rocky region just beyond the city limits of Tokyo. The mansion is said to have been home to one of the most gruesome murders in modern Japanese history. Local lore has it that for generations, the Himuro family had participated in a strange, twisted Shinto ritual known as “The Strangling Ritual” in order to seal off bad karma from within the Earth, every half century or so. The most popular version of the tale states that bad karma would emerge each December (other versions simply say “toward the end of the year”) from a portal on the Mansion’s grounds. In order to prevent this, a maiden was chosen at birth by the master of the household and isolated from the outside world in order to prevent her from developing any ties to the outside world, which would in turn, jeopardize the effect of the ritual. On the day of the Strangling Ritual, the maiden was bound by ropes on her ankles, wrists, and neck. The ropes were attached to teams of oxen or horses to rip her limbs from her body, quartering her. The ropes used to bind her appendages would then be soaked in her blood and laid over the gateway of the portal. They believed that this would seal off the portal for another half century until the ritual had to be repeated. During the last recorded Strangling Ritual it is said that the maiden had fallen in love with a man who tried to save her from the ritual. This created both a physical and psychic “tie” to the Earth (akin to how a modern day medium forms an ethereal bond with a caller who gets a phone psychic reading). This bond tainted her blood and spirit and ruined the ritual altogether. Upon learning of the maidens love, the master took up his sword and brutally murdered all of his family members, before finally, in fear of what would soon happen, fell upon his own blade. This is the basis of the “haunting” of the Himuro Mansion. Local legend has it that these souls of the murdered family wander the mansion attempting to repeat the failed ritual using whomever enters the abandoned building. Blood splashes on the walls are reportedly seen, as if they were flicked from the blade of a sword that had recently sliced through flesh. Many have reported seeing spirits and apparitions dressed completely in white, rinsing cloths and preparing the grounds for the ritual. Now, the question is, did any of this really happen? Probably not. The core allure of this legend is also it’s silver bullet. If such a grisly murder did occur (sources put this between 30 and 80 years ago) in such recent times, where is the record? It is highly unlikely that no police station or newspaper have records of this mass murder taking place just outside of Tokyo. 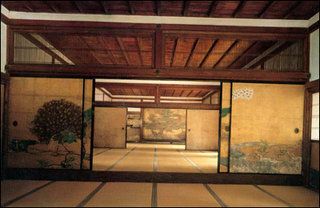 Regarding the mystery of the location, some believers have offered the notion that the Himuro family has once again taken ownership of the mansion and is currently living there.. but that conflicts with the legend in that all family members were supposedly murdered AND the “firsthand accounts” of events witnessed on the property by locals and researchers. Haunting claims from multiple sources. Another peculiarity of note is that Tecmo advertised the game in North America with the tagline: “Based on a true story,” but without on the original Japanese release. Because of this, some have theorized that the entire legend was fabricated by the game developers.